HomeInspirationNavin Gulia [A Living Inspiration] Success Story and More. On the evening of April 29, 1995, a 19-year young gentleman cadet suffered a near-fatal accident during his passing-out parade at the Indian Military Academy. The injuries were so grave that doctors declared he would not survive more than three days. Today, Navin Gulia is an accomplished author, award-winning adventurer, philanthropist, motivational speaker and above all, a source of inspiration to many. In 2004, he made it to the Limca Book of Records by becoming the first and only person to drive from Delhi to Marsimik la, the highest motorable pass in the world, driving nonstop for 55 hours. He is the recipient of numerous prestigious Awards including the Karmaveer Chakra, National Role Model Award, Global Indian of the Year, KavinCare Ability Mastery Award and much more. This is an attempt to share his story with you, although, five minutes into our meeting, it dawned upon me that this exceptional journey cannot be summed up in a few hundred words. 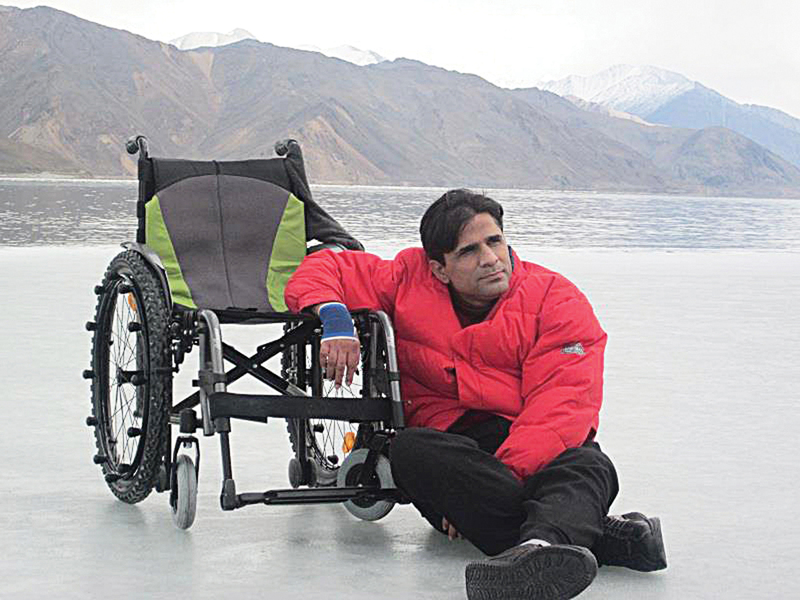 Sharing here Navin Gulia’s remarkable journey, in their own words. An Ex-Indian Army Officer and a World Record Holder in adventure sports, Navin Gulia is a multiple award-winning, internationally acclaimed, Author, Adventurer, Thinker, Orator and Social Worker. Adventure Sports – Despite getting injured in the army at the age of 22, he continued his passion for adventure sports, modifying his own cars to drive and flew powered hang gliders and microlight air crafts. In September of 2004, he created a World Record in Adventure All-Terrain Driving by driving non-stop for 55 hrs to reach the world’s highest motorable mountain pass, the formidable Marsimik La at 18632 feet. A record that stands unbeaten till today. Social Work – He runs an organization called ADAA ‘Apni Duniya Apna Ashiana’ (Our World Our Home), for the welfare of underprivileged children from the weaker sections of the society. His organization works for street children, village children and differently able children. His Books – He is the author of two motivational Best Sellers. His English book ‘In Quest of the Last Victory’ has been published by Pearson Longman and his Hindi book ‘Veer Usko Janiye’ has been published by Prabhat Prakashan.